Posted July 22nd, 2015 by Mobile Music School & filed under Announcements, Music Lessons, Percussion Lessons. Stemming on from the success of the one-day workshops delivered by Shay and Siobhán, we are excited to announce that we have now developed a two-day percussion workshop for primary schools. These workshops have been enjoyed by thousands of schools to date. 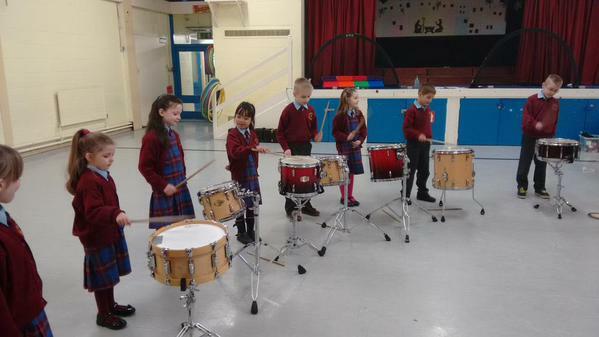 Not only are they an educational and a fun way to learn about music, drums and the family of percussion instruments, they also develop each child’s listening skills, ability to work in groups, rhythmic abilities and musical knowledge. 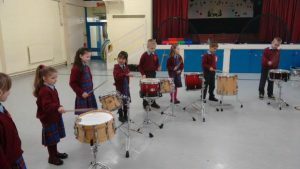 Our newly created two-day ‘Let’s Drum’ workshop gives schools the option of inviting our tutors to deliver a 90-minute session to six classes, or alternatively, to work closely with two classes over the course of two consecutive days. Each option will finish with a school performance, which will get all students moving, clapping and grooving together. For more information or to make a booking, please contact us at admin@mobilemusicschool.ie.